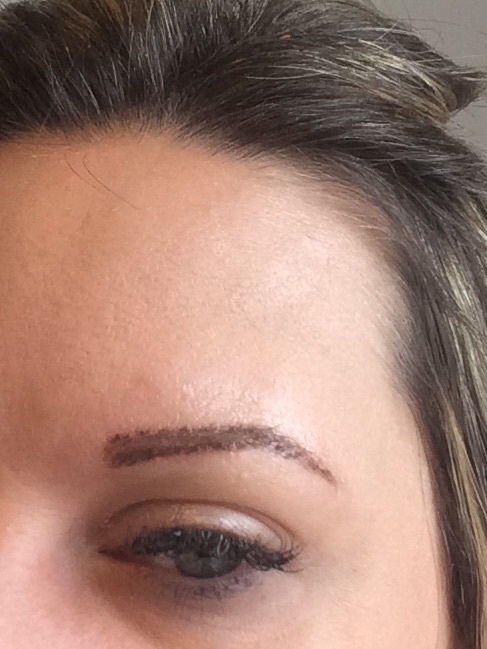 A real time blog of a semi permanent eyebrow treatment explaining the treatment and healing process. Autoimmune Disease & Your Skin. After a long hot summer our skin can be left sun dammaged, with a loss of firmness and elasticity. Skinrolla is a skin rejuvenation technique that triggers collagen synthesis, smoothing out wrinkles, lines and folds, improving the appearance of large pores and generally improving the quality and texture of the skin. It's time to get out your home rollers to enhance penetration of your retinol and c-tetra and give your skin a boost. I have added the video on how to use the skinrolla at home. Enjoy! Skin protection during winter. Winter weather is harsh on our skin. New year intentions instead of New year resolutions. I (Sally) am not in on the 30th or New Years Eve as I'm off to France for New Year celebrations. I am a little apprehensive about this but I'm not going to let what is going on in the world ruin our plans. We are getting booked up near Christmas now but do have appointments still available. I would suggest if you have limited time available that you book asap for all your skin & beauty needs. Christmas is coming, time to prep everything including myself!! A week or two before, is when I tackle that job. Oops I missed a day blogging! Apologies, I was busy in the clinic yesterday and then I totally forgot after a glass of wine and the xfactor!! My eyebrows do seem to be peeling now, this is the skin kicking out the pigment it doesn't need. I'm hoping underneath all is well but for now I just need to keep putting on the ointment. I'm pretty sure sitting in front of my open fire last night has dried them out a little! Probably not my finest moment but it was so cold last night it was needed. I'm not sure standing out in the cold and snow this morning whilst my son plays football is ideal either but needs must. I've realised this week that it is so important to follow the aftercare rules. Not getting the area wet and avoiding heat is very difficult. But it's a must to make this treatment work. My last day of ointment is today but I feel that they haven't fully healed yet so will be continuing with it until I'm happy they have healed. It is a treatment that is bespoke to each individual in many ways. Its up to you how much pigment we put in, where we put it and then your skin decides on how long it takes to heal. It is an amazing treatment that lasts for up to 3 years. It just gets better and more natural with time. Eyebrows are looking a little dry and flakey!! Hope me scratching them hasn't damaged them. Not much to report today, still looking great but definately looking more natural now. Still a little itchy due to healing process. If you had never had this treatment before you would need to have the same thing done up to 3 times with 4-6 weeks between treatments to ensure you had them fully completed. Your skin can throw out up to 50% of the pigment that you put in on the first treatment. We give you 3 treatments within the price of our eyebrow treatment where most places only give you 2. I want your eyebrows to be perfect. We also offer a free consultation to talk you through the procedure and do full allergy testing. I'm loving my new eyebrows, one less thing to do in the morning! Day 3 of semi permanent eyebrows. Not much change really but starting to look really good. A little softer to look at. Day 2 thoughts and aftercare of semi-permanent eyebrows. Daily routine is adjusted to suit this procedure, you may want to carry on with everything as normal, I would suggest not booking any special occassions in the first few days afterwards as greasy, dark eyebrows are probably not the look you would be going for! !